Some of the most common sources of employee injuries are ladder accidents. Sherry and Katz help you to protect you from this type of mishap as well as help you get the treatment you need if you do become injured. On behalf of Koszdin, Fields, Sherry & Katz posted in Workplace injuries on Thursday, May 25, 2017. While most employers make efforts to protect their employees while they are working, it is still possible that you will become a victim of one of the many workplace accidents that happen every day across the state of California. 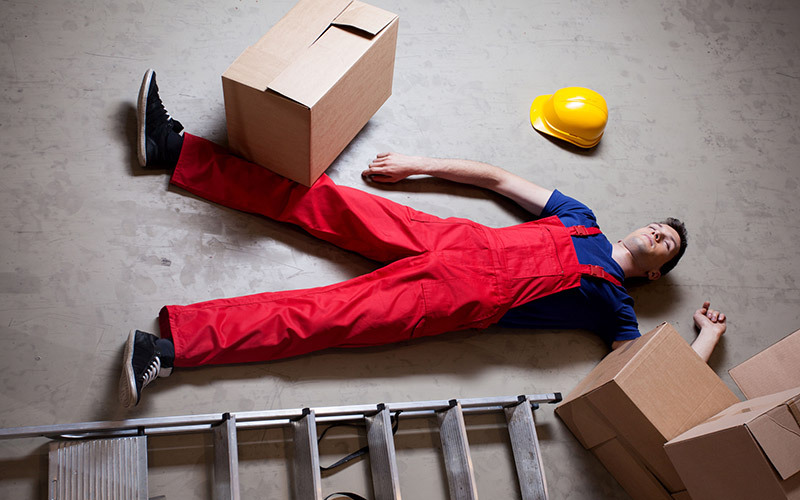 Some of the most common sources of employee injuries are ladder accidents. We at Koszdin, Fields, Sherry & Katz work to protect you from this type of mishap as well as help you get the treatment you need if you do become injured. The State of California Department of Industrial Relations claims that, in 2009, around 20 percent of all fatal falls involved ladders. There were also several non-fatal injuries that occurred from ladder usage, with 164,000 injuries requiring treatment in an emergency room. The most common causes of these accidents were ladders that were defective or in poor condition, work practices that were unsafe, improper training on ladder safety and incorrect positioning while in use. You are much more likely to be killed from a fall while going down the ladder as opposed to going up. Statistics show that twice as many falls occur when people are stepping down than when they are stepping up. Portable ladders were most commonly involved in these accidents. Researchers believe that employers assume that most people know how to use this piece of equipment at home and do not provide proper training in the workplace. For more information on the dangers that ladder accidents at work present, please visit our web page on physical injuries sustained in the workplace.